Apopka, FL . 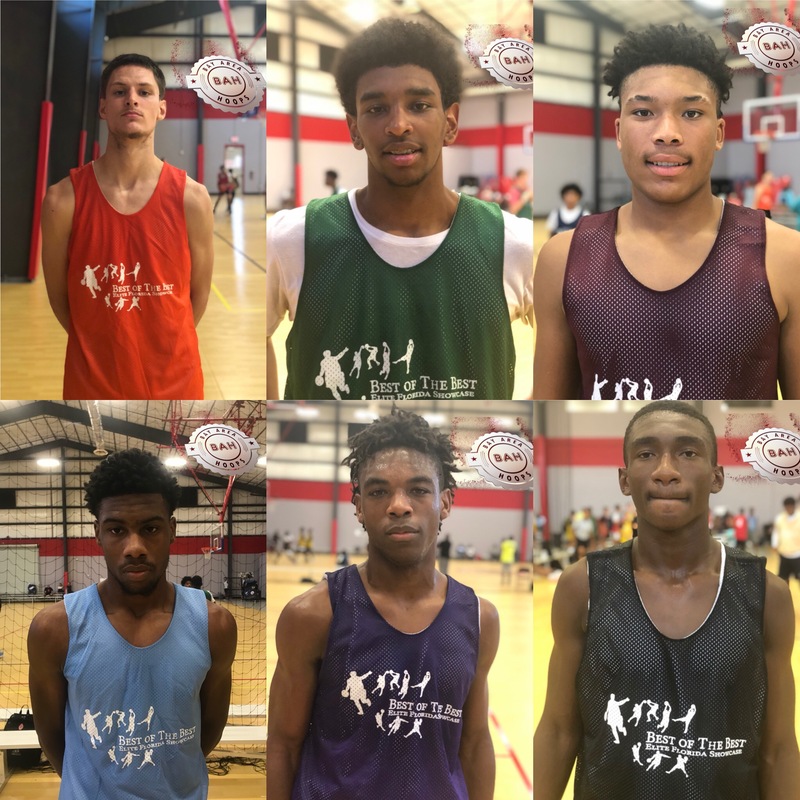 – During September’s recruitment period, some of the best players around the state of Florida made it to the Copper Sportsplex to test their skills against one another at the Best of the Best Elite Florida Showcase. There was a good number of interesting players and top available players at the BOTBFL. Here is what we saw while watching them compete. 2020 6’7” F Jacob Crews, Superior Collegiate (FL) – Crews shoots the ball with confidence. He possesses a slender build but at 6’7” Crews shooting is quick, deep and can be unconscious when in rhythm. His abilities to pull the trigger from a deep range, allows him to shoot over smaller opponents and make defenders concentrate more on him. Crews didn’t create off the dribble much and not saying he couldn’t but based on what the defense was giving to him, he continued to drain deep three pointers. He is definitely showing why he’s on now Coaches radar. 2020 6’6” F Isaiah Adams, Paxon HS (FL) – Adams has grown on me! The high flying prospect has been seen over the top of the rim multiple times! When he wasn’t finishing above the rim Adams showed his development especially knowing where and when to get the ball and to pick his shots. Next for Adams, is to continue to concentrate on his defensive presence as he grows in the game. Adams has the tools to continue to be very special! 2021 6’5” Roddrick Henry III, Rickards HS (FL) – Henry maximizes his huge frame to be an everything player. He’s a versatile forward who presents mismatch problems for opposing defenders using his athleticism and skill set. Starks can work around the rim to face up and hit open 1o-15 footers and with a mix of an occasional transition pull ups, he is very intriguing. There are not many players in the sophomore class who have the potential and upside that James has. Let’s keep on eye on this guy, I really think he can be an impact at Richards as long as there are guards to get this fella the ball. 2021 6’7” Craig Starks, Miami Beach HS (FL) – Starks should be one to watch at Miami Beach as they head into the 2018-2019 season. He can stand out like a sore thumb, once noticed you’ll see that he’s equipped with an inside outside game. He stays around the high post, sets screens, finishes hard and does all the dirty work. 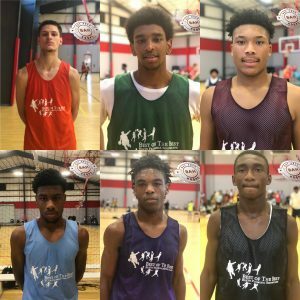 Starks unique ability to be that type of player on the floor should intrigue coaches to make a trip to watch him this season. A competitive big man that is active and aggressive around the rim, protects the glass and won’t hesitate to throw his body around and out work opponents. 2020 6’4” G Joe Stubbs, Santa Fe’ Catholic (FL) – Stubbs high motor scrappy guard prospect with ability to play off the ball as well. He’s strong, fast and tough, which can make it fairly hard for an average guard to defend. He understands how to move his feet, defend and move on the court. Next in his development process is continuing to work on shooting techniques, as it will allow him to expand to greater levels of his game. Coaches go watch this kid, he will be one to add to your charts and revisit in the coming months. 2021 6’4” G Jameon “JJ” Harris, West Oaks Academy (FL) – Harris has talent and was very impressive throughout the day. Harris is a legit CG and has been concentrating on making plays at either position. When he slides off the ball, he has no problem taking over the role of scorer. He has long arms, a quick second jump in the paint to help grab offensive rebounds this helps him be effective on the floor. He’s unselfish but he still has to work on controlling the game with different paces at the PG position. Harris gets out in the open floor and keeps his head to find slashers and able to get past you to finish at the rim.